Lifting weights is mostly a safe activity. 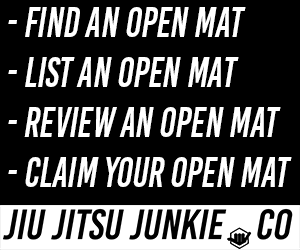 BJJ and MMA are understandably filled with many more obvious hazards that come with the territory; getting punched or kicked, being thrown and falling awkwardly, busting your knees trying to stop a takedown and the list goes on. You don’t have to be worried about any of that when lifting and pressing. However, dangers start to appear the heavier you go with the weights and especially if you choose to lift in a fast, explosive, strength-focused way such as powerlifting or olympic lifting. 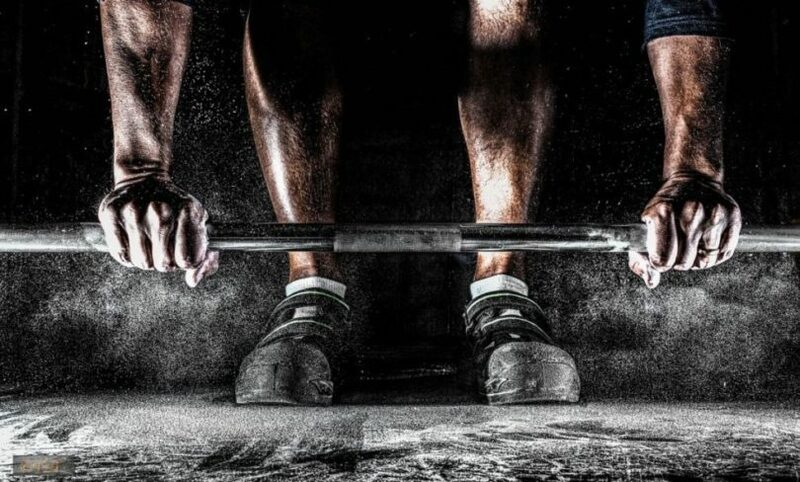 Lifting can be tough and if done correctly, will make you sweat heavily due to the tough workload. This sweat can accumulate in the palms of your hands and cause the bar to slip out of your hands. Now, this can be extremely dangerous. Especially in exercises such as the bench press where your neck and face will be the landing zone for any rogue barbell. Chuck heavy, 1-rep max levels of weight into the equation and your little accident could be fatal. This is why any serious powerlifter applies chalk to their hands before attempting any tough lifts. The chalk soaks up the sweat on your hands and allows you a much more secure grip on the bar or dumbbell or kettlebell, etc. Just a little bit of chalk before a big lift and the risk of slipping is essentially mitigated. If you take your weight training seriously, and you should, you should definitely invest in your own chalk to make sure you’ve always got that added security to hand. You can buy weightlifting chalk in a variety of different ways. One such way is using a chalk bag. These bags are often referred to as chalk balls and chalk socks. The chalk itself is inside the bag and is applied to your hands by gently squeezing the bag so the chalk works its way through the small holes in the fabric. This is great because it makes it difficult to apply too much chalk and make a big mess. If you’re buying chalk for rock-climbing or bouldering then getting a ball is almost a must, as you can tie it to your belt/waistband to reapply when needed. This ball comes pre-filled with 65 grams of chalk and can be easily refilled with store-bought chalk. Whilst chalk bags are common, the chalk itself is often purchased in either blocks of chalk or a thick, chunky powder that can be used as-is, or broken down and used to refill your bag. SPRI offer 2oz blocks singularly as well as in packs of 4 and 8. All blocks are magnesium carbonate, pigment-free and most importantly, non-toxic. This chalk will keep your hands dry and your grip strong. You’ll find that you won’t have to reapply this chalk as frequently as some other cheaper models of chalk out there. Despite sticking to your hands well when you need it, the chalk is still easy to wash off of hands and fabric. If you don’t use a proper chalk bag/sock, this chalk can even be stored in ziplock bags and tupperware to prevent any needless mess. Rage Fitness Chalk offer their chalk in both block and bag form. Both are made of the same high-quality chalk so it’s simply down to personal preference really. The 56 gram capacity chalk bag comes with 100 grams of chalk so you essentially get two full fillings out of this one product. The block option comes as 8 separate 2oz blocks. The blocks, however, can be broken down to a finer powder without using any of their usefulness. If you already use chalk and you already know that you’ll be using it consistently for a long time, then the block option will be a more efficient and cost-effective purchase for you as the blocks last a really, really long time. If you already own the 321 Strong Chalk Ball, or are thinking of getting one, this loose chalk from the same company is a good accompanying purchase. The loose chalk can be quickly used to refill the bags as cleanly as possible. You can break down blocks of chalk to use in bags but it’s a bit of messing about. Much easier to just use loose chalk if you’re relying on a bag. Though the loose chalk can be used in gymnastic buckets, stored in smaller, ziplock bags, etc. The chalk itself comes in a resealable ziplock bag that looks a bit like a protein powder pouch. It’s easy and safe to reseal the bag and put it out of reach from children and pets when not in use. Many commercial gyms and family gyms across the world actively ban chalk from being used, just because it can sometimes be a bit messy. The mess created by chalk is pretty minor compared to how it drastically increases your personal safety but it is what it is. Most chalks wash off of your hands and clothing easily without staining or discolouring fabrics. But if you’re still concerned with the associated mess, you can buy Liquid chalk from Fire Team Fit which comes with a very handy no-mess bottle. This keeps the chalk ball separate from anything else in your gym bag as well as being handy to carry your chalk around with you during your workout. Chalk is both so cheap and effective that it’s a no-brainer when choosing whether you buy it or not. Once you use chalk on some heavier, tougher lifts such as deadlifts, you’ll never want to lift without it again.